Pennsylvania will ask Uber Technologies Inc. and any company developing self-driving cars with the same technology onboard to immediately stop testing. PennDOT Secretary Leslie Richards said that and other guidelines outlined April 9 are voluntary, but the state expects companies to comply with them. Richards said during the opening session of the Pennsylvania Autonomous Vehicle Summit in Pittsburgh that the state still welcomes testing to develop self-driving technologies. “But understand we must do so in a way that ensures safety,” Richards said. Richards was expected to provide more details on the autonomous vehicle guidelines later April 9. 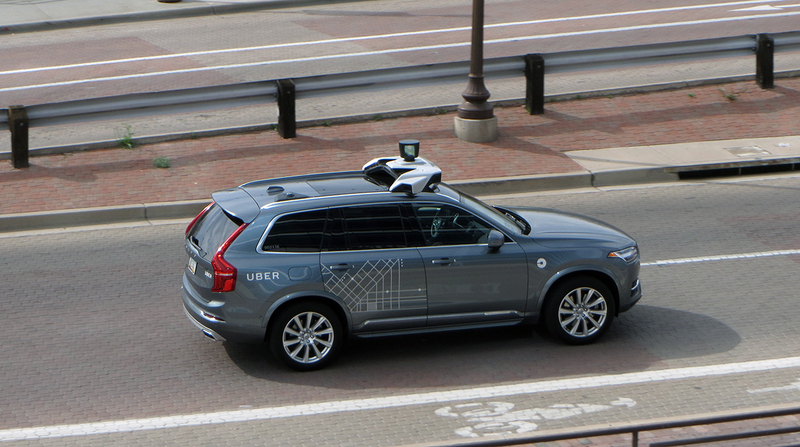 The interim guidelines will be in place until the state Legislature passes regulations for testing self-driving cars and gives PennDOT authority to oversee testing. Current Pennsylvania law contains no rules specific to autonomous vehicles other than a requirement that someone who is capable of taking control of the vehicle if necessary be behind the wheel of a self-driving car. Richards said the guidelines include an immediate stop to testing for any company that knowingly shares technology with any company under investigation by the National Transportation Safety Board. NTSB is investigating a crash in March in Tempe, Ariz., in which a self-driving Uber hit and killed a woman walking her bike across the street. Richards did not say how many or which companies would be asked to stop testing. The guidelines will ask companies to submit a notice of testing to PennDOT, information about safety drivers and their training, a list of the cars involved in testing and the routes and locations of the tests. Pennsylvania currently does not require companies testing self-driving cars to submit paperwork. “Compliance with the above list is voluntary, but we do expect compliance,” Richards said. PennDOT also will work with the National Robotics Engineering Center at Carnegie Mellon University to develop best practices for testing.